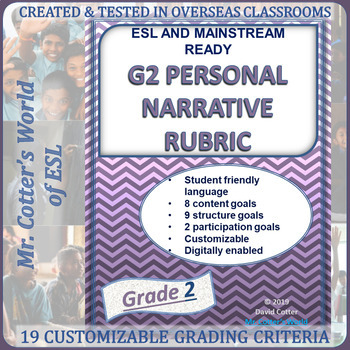 Constructed and refined over five years in an ESL classroom in a non-English environment (Taiwan) with never fewer than 4 native language backgrounds per class, this writing rubric targets many common areas for improvement in G2 ESL writing. Good for any length and level of G2 creative story writing project. 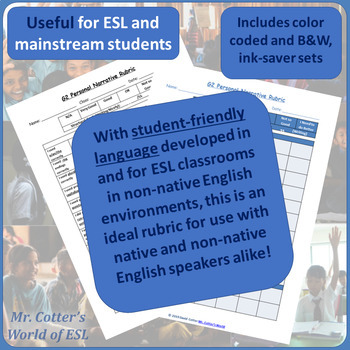 Integrates some WIDA concepts, such as general, specific and technical language.